Anthracite gray hand-painted leather upper. Opanka construction, handsewn leather sole. 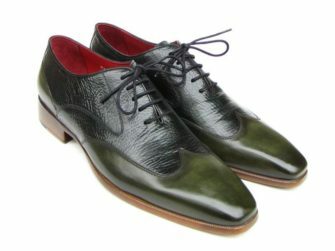 Medallion toe oxfords for men.